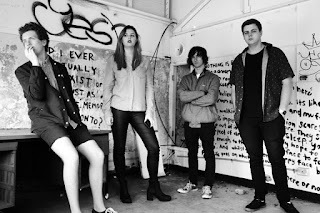 What we are told - Sloom is a rock n roll band from Sydney’s Inner West, whose members are Chris Diamond and Cristian Di Paolo on guitar and vocals, Dane Macintosh on bass and Jamie Graham on drums. Coming from a variety of musical backgrounds they set out together to create their own original music. After recording their first EP, Kahayalan in 2014 Sloom has refined their sound and are set to release their first single ‘Magic Cup’. Produced and recorded by the band, ‘Magic Cup’ captures the spirit of their live performances and draws inspiration from an older era. 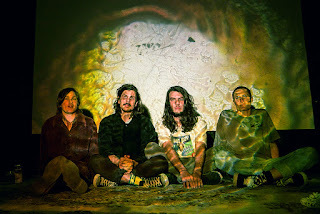 ‘Magic Cup’ might resonate with fans of John Dwyer, Ty Segall and any living thing that likes their music energetic and fun! Sloom are playing a show at Frankie’s Pizza on Hunter St on October 11, come down and grab yourself a slice of Sloom. Rabid Young - Not Enough. Background - At some point in 2014, Las Vegas musician Eric Rickey found himself at the end of a well-travelled road wondering where to go next. That year Eric’s previous band, Most Thieves, had opened for the Killers through Europe and Canada, playing arenas and getting a taste of international success. Reflecting on the experience Eric explains: “We had all the opportunity in the world but for whatever reason it didn’t pan out.” That tour culminated in a home town show at the Cosmo on New Year’s Eve where they played for thousands of people before the members decided to take a break from the project. It was at this pinnacle, looking out at the sea of eager faces, when the words “rabid young” popped into his head. 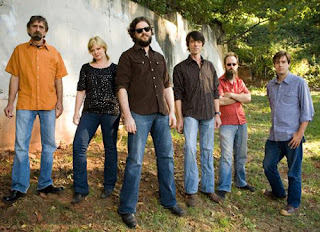 From the Internet Archive (IA) this is the Drive-By Truckers in a private family and friends performance at band member Mike Cooley's House in Gardendale, Alabama, USA. It is an incredible acoustic performance with superb audio quality and as one reviewer put it " this recording is amazing. I was having a few beers listening to it and the next thing I know I'm doing shots of Elijah Craig and singing out loud like a jackass". The Pacers - Losing Touch. 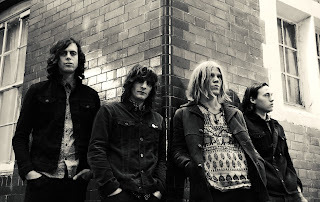 Background - The Pacers draw their influences from the sixties Psych/Garage scene, mixing it up with their own unique ideas to create unforgettable and energetic live performances in the same vein as The Stooges and The Stones, with a healthy dose of freak out psychedelia. 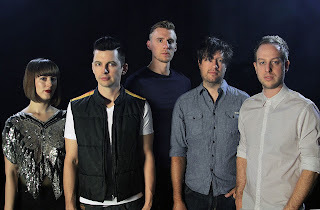 The band formed in the late summer of 2013 when Alexander Friedl and guitarist Harry Stam met under what they describe as "mysterious circumstances". With a shared interest in all things 60's and a desire to escape the monotony of everyday life, they duo picked up their guitars and began writing songs. Chris Savor - TTMO (Can't Lose You). Words from Chris - After 6 years in New York, I finally made the move back to London. And here is my first UK-dance inspired track after being back home. - It's time to move on, but you still feel the same and you can't let go. And you thought you would have a steady love by now... "Life's confusing, all the things I was meant to have by now". I wrote this as I finally decided to move back home, alone. I don't know if it's the right decision or why I keep moving, "maybe I'm just choosing situations with expiration's". But the only way is to follow your heart and keep going, so the track ends with, "It's about time we move, It's about time we moved on". TTMO has an emotional message, but a dance sound. Maybe it's about that time your tears glistened in the disco lights.